It is inevitable that Fruitvale Station will be viewed through the lens of the recent Zimmerman trial verdict. Both include tragic events where had cooler heads prevailed, two lives would not have been lost. It is a sad irony for a film made to mend a broken community to be suddenly a poster child for the national debate on race and violence in this country. In the end, director Ryan Coogler’s greatest triumph is making an intimate and thoughtful film that will hit close to home for many. The film, for those unfamiliar, is based on the true story of Oakland resident Oscar Grant (Michael B. Jordan) who was killed by a BART Police Officer on New Year’s Day 2009. It chronicles the last day of Grant’s life as he attempts to keep his job, attend to his family, and make plans to celebrate the new year. This is intercut with flashbacks to Grant’s time in prison, to give full context to Grant’s emotional struggles, his motivations, and his sense of urgency throughout the film. On his way home after the San Francisco fireworks, Grant and his friends get into a fight on the train, and during the ensuing police intervention he is shot, later dying from his injuries. We will likely never know the definitive events of Oscar Grant’s last day. Instead Coogler paints a picture of an imperfect man trying to make his way in the world using anecdotal research and comparable personal experiences. The results yield a believable timeline of events documented in texts, phone calls to loved ones, and the haunting cell phone footage of the altercation on the BART platform. Seeing the footage is enough to get the sense of fear and confusion that occurred that night, but Coogler takes it a step further in his dramatization by getting in close and steadily raising the intensity to an almost unbearable level. It is one of the best choreographed scenes I have seen this year. By not delving into the aftermath of Grant’s death and the subsequent trial of the BART Police Officer, the film doesn’t venture to comment on the systemic issue of race relations within the Oakland area (or arguably the country). In light of recent events, it’s a mistake to want this film to be something it’s not, and say something it never had any intention of saying. The film spends a lot of time being a character study and if Fruitvale was about the aftermath then it shouldn’t matter that Grant was trying to turn his life around, that he was a good father to his daughter, that he had a temper, or spent time in jail. He was wrongfully shot and killed. But this film isn’t about the trial or how a bunch of strangers on a jury should view the evidence. “Should” in this case is an ideal we are still shooting for in a world where justice should be blind but rarely is. This film is about one man’s experience that is representative, and therefore meaningful, to many. It’s told from the perspective of those who loved him, who crave a closure or as close to one as they can get. 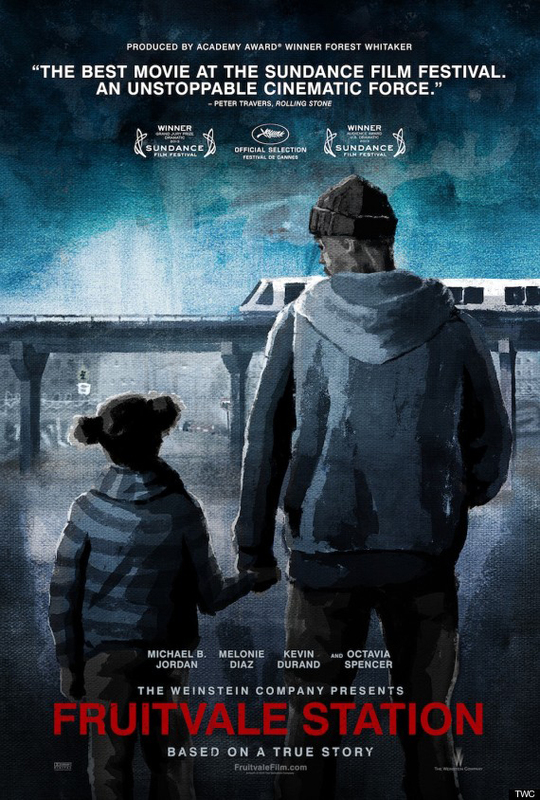 Fruitvale Station is an excellent first feature, a little rough around the edges, but so full of thoughtful consideration to the art of filmmaking and storytelling that I make no hesitation to recommend it highly. Fruitvale Station opens today at the Ritz Five and AMC Cherry Hill theaters.